This landmark residence and tower located at the corner of Triq it-Torri Cumbo and Triq Durumblat, Mosta, is constructed on two floors and within fairly extensive grounds. There is a niche on the main façade at roof parapet level and an arched entrance leads to the gardens of the property. 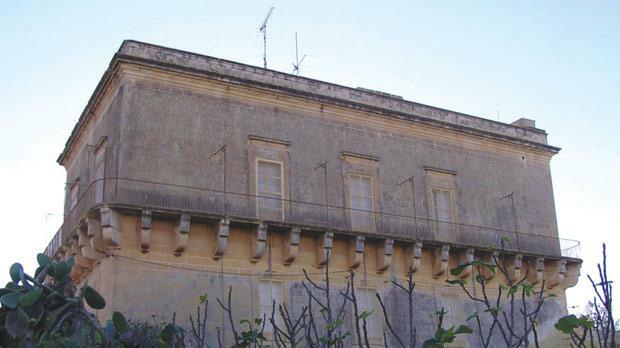 The property is reputed to be that owned by a certain Julius Cumbo who was a well known criminal lawyer in late mediaeval times and also a jurat on the Università of Mdina which was the local government of the time. The site is reputed to have been the location from where the Mosta Bride or L-Għarusa tal-Mosta (the ballad and local legend) was abducted in 1526. While there is no actual historical proof of this abduction, it is documented that about 400 prisoners were abducted from Mosta in 1526. Mepa scheduled Cumbo Tower as a Grade 2 national monument as per government notice 22 dated January 10.